In 2011 and industrial working group in the Fruit Juice Industry concluded that tanker cleaning was a high risk activity without much control and traceability. A key question of the working group was how to assure the quality of the tank cleaning process as you can not present on every tanker cleaner. 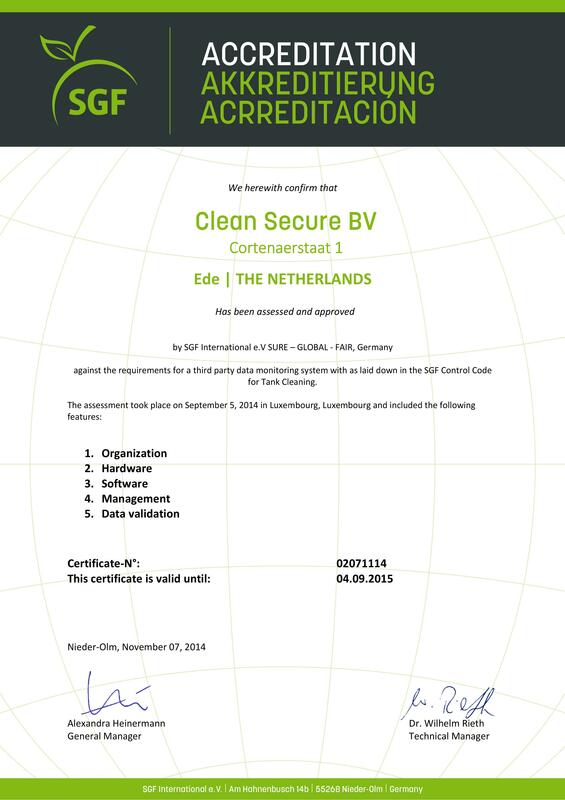 For this, CleanSecure developed an independent technology platform based on sensor technology and validation algorithms to enable remote validations of the cleaning process. This enables cargo owners to have eyes on the remote process. For the benefit of the cargo owner and cleaning stations and drivers. We believe that connection and transparency will contribute to a better and saver industry.